Whether you are travelling for business or pleasure, VroomVroomVroom can help you find the perfect hire car for your next trip. We compare a wide range of vehicles from leading car hire companies including Alamo, Europcar, and Enterprise. Instead of browsing through different websites, you can save time and money by comparing deals at VroomVroomVroom. Mansfield is a district within the shire county of Nottinghamshire, East Midlands Region, England, United Kingdom. It lies along the banks of Maun River near the Sherwood Forest within the Maun Valley. The area is currently the county's largest town. Its name come from the River Maun which runs through it and it was historically mentioned in the Doomsday Book of 1086. A cheap hire car in Mansfield appears to be a clever idea as it offers you the opportunity to tour the surrounding area at your own pace. 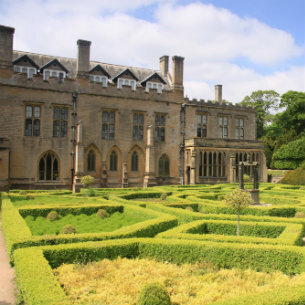 Take for instance, the phenomenal Newstead Abbey, is just a quick drive away from the town. The Abbey, which highlights 300 acres of lakes, woodland and parks, used to be the home of English poet Lord Byron. Save time: We handle the hard work for you and provide the best and cheapest car and van hire available in Mansfield. With our user-friendly car hire comparison site, it's very easy to find the Mansfield car hire that is most suited for your travel - whether it is for business or leisure. High quality vehicles; We only provide car hire deals from major Mansfield car rental companies so you are sure of having a reliable vehicle. The fleet ranges from economy cars and vans to SUVS and premium vehicles so you can find your dream car. Convenience: There are several car hire locations to choose from which makes it easier to pick up and drop off your vehicle. If you are flying to Mansfield, you can also hire a car at the nearest airport. VroomVroomVroom also compares rental cars in East Midlands Airport which is approximately 26 miles away from the city centre. Save money: When it comes to the price, VroomVroomVroom assures their customers of having the lowest rates. Check out our Price Promise so you will know what we are talking about. It is also free to book and cancel! So don't worry about reserving a Mansfield car hire or Mansfield van hire in advance because we know plans do change sometimes. Reliable customer care team: If you need help in finding or booking a car hire in Mansfield, feel free to contact us either via phone call, email or live chat. You may also leave us a message on Facebook and Twitter. Summer is the most popular time to visit Mansfield so make sure to book a hire car and accommodation in advance if you are travelling between June and August. The Summer in the Streets festival attracts hundreds of people annually and it features children's entertainment, workshops and fairground rides. The main event of the festival is Party in the Park where people can enjoy live performances from famous bands and dance groups. Before hiring a car, you need a valid full driving licence or a valid full national licence issued in your country. For more useful information on driving in the UK, click here. If it is your first time to drive in the United Kingdom and you are from the United States, take note that people drive on the left side of the road. The closest airport is Nottingham Airport which is located on the east of West Bridgford. East Midlands Airport is the second closest airport and it is situated on the southwest of Long Eaton. To avoid delays, it is advisable to check the traffic news via The AA. Mansfield is well known for its cultural heritage, large market square and vivacious nightlife. So if it's a bustling cultural scene or a romantic nightlife you are after then Mansfield is definitely a must for you. Take time to adore the town's charming small parks and gardens, such as Titchfield Park, or visit renowned churches and historic buildings in this charming town. All this will be possible with a car rental from VroomVroomVroom. Below is a list of attractions you can check out on your next visit to Mansfield. This magnificent structure lies within Newstead Abbey Historic House and Garden in Ravenshead, Nottinghamshire, England, United Kingdom. It stands just more or less five miles from the town of Mansfield and is well known for its architectural style, beautiful gardens and history. The site used to serve as a monastery and home to the renowned poet Lord Byron. Several properties that belong to Lord Byron are still within the abbey. The museum features a number of historical displays such as uniforms, medals, photographs and etc. that are connected to the British Army. It is located just approximately ten miles away from Mansfield. Its address is Hucknall Lane, Bulwell, Nottingham, Nottinghamshire, England, United Kingdom. The museum is children and or family friendly. It has a number of interactive exhibits that tell a lot about the history of the town of Mansfield. This historic landmark stands within the area of Ravenshead, Nottingham, Nottinghamshire, England, United Kingdom. 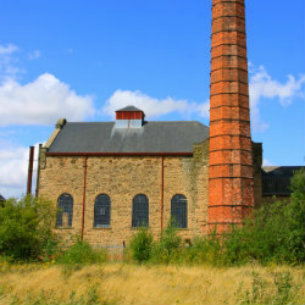 Amongst the destination's popular features are the following: one of the country's magnificent Victorian water pumping station, a model railway, boiler house, cooling pond and engine house. The venue is highly recommended for people of all ages and group sizes. It is one of the finest places to learn while happily exploring. The centre offers several workshops and features wide collection of magnificent modern and traditional artworks primarily from the local community. Its order of displays and manner of featuring items made the centre famous inside and out of the country. Europcar Mansfield - 192 Nottingham Road, Mansfield, . Enterprise Mansfield - 132 Chesterfield Road South , Mansfield, ENG.